This reading was very interesting to me. I have never really been informed or researched about the history of photography. 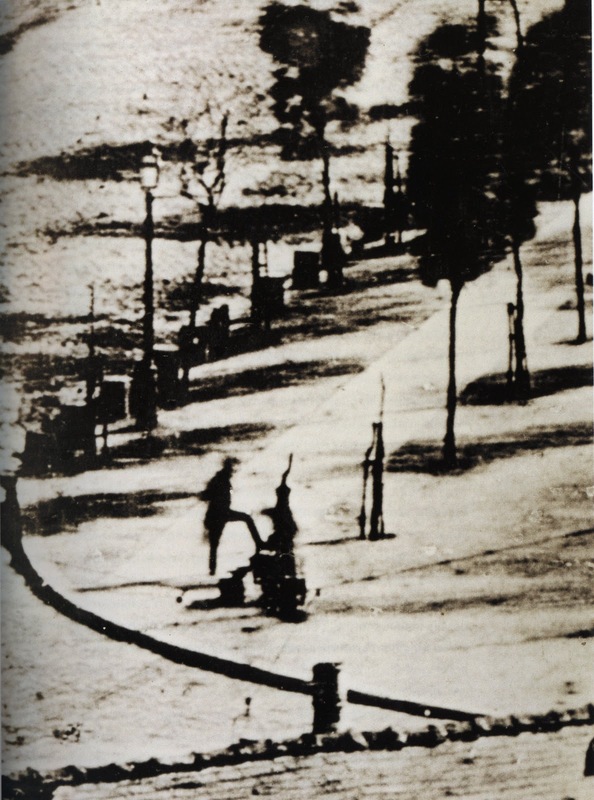 I included a photograph by Daguerre because he is the inventor of photography. 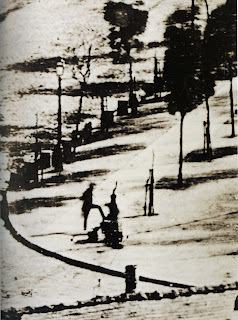 In 1838 he took the first photograph. There are a few inventions that are immediately and widely adopted but photography was. I also learned that in the year 1861 color was invented in photography. The sentence that most stood out to me was , "Everyone who has a half-dollar can now own a camera; everyone who can point a finger can take a picture". It is so amazing how much the world of photography has changed and developed. Cameras are so expensive now and it is very hard to afford a nice camera. Everyone that can point a finger can take a picture but that does not mean it is going to be a good photograph. You need to have technique and experience to be a photographer. I love the shot of your sister sleeping in the car. Her head is so heavy with sleep that it drops down and out of the picture frame. I think it gives the photo an asymmetrical balance and captures that feeling of nodding off.